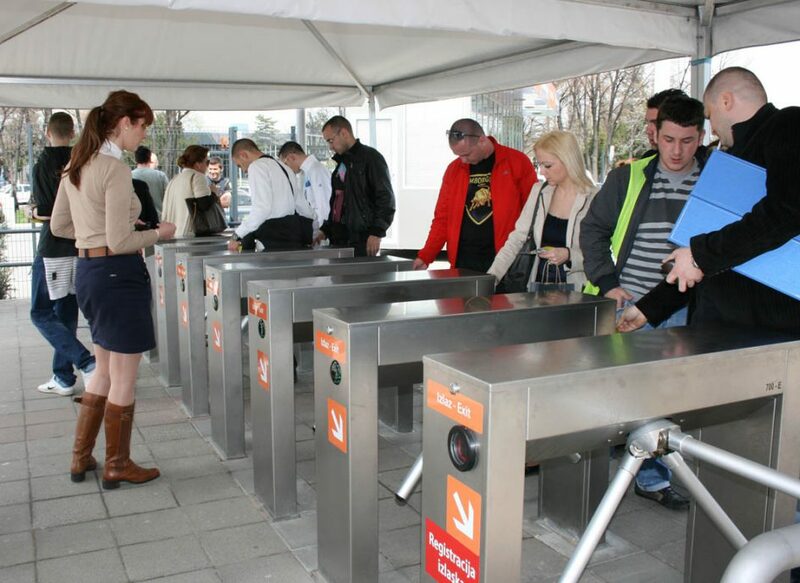 SDD ITG developed and implemented ticketing and access control system for visitors and vehicles for Belgrade Fair, in cooperation with Institute Mihajlo Pupin (www.pupin.rs). SDD ITG developed and installed system for ticketing and access control for pedestrians, with integral back office application software. Institute Mihajlo Pupin developed and installed access control system for vehicles and parking fare collection. The system provides several functions: ticket sale, visitors’ entrance control, management and reporting. Users receive complete system – high quality hardware equipment and functional application software, customized to the user’s needs, with special focus on protection against unauthorized entrance. On one of the 15 Point-of-Sale boxes, visitors can buy paper bar code tickets, printed on the spot, with various access rights: single entrance, group tickets and family tickets. Special tickets in form of contactless smart cards (ISO14443A technology) are used as VIP, exhibitor and employee passes. This flexible system enables users to define tickets with various access rights and thus adjust to the preferences of the visitors. Access control is conducted on 30 critical points, by means of tripod turnstiles, gates and doors with magnetic locks and automatic barrier gates (for vehicles control). All control points, both those for pedestrians as well as those for vehicles, are equipped with readers for all type of tickets. Therefore, visitors’ entrance is performed quickly and easily, without lines at the gates. Reliable tickets validation performed by the system in real time minimizes abuse. Once used, single ticket can not be used again for entrance of the same or another person. This is a basic among several protection principles the system provides. So far, system has been tested by several hundred thousands of visitors’ of tourism and traveling, wine, animals, marine, horticulture and car exhibitions. 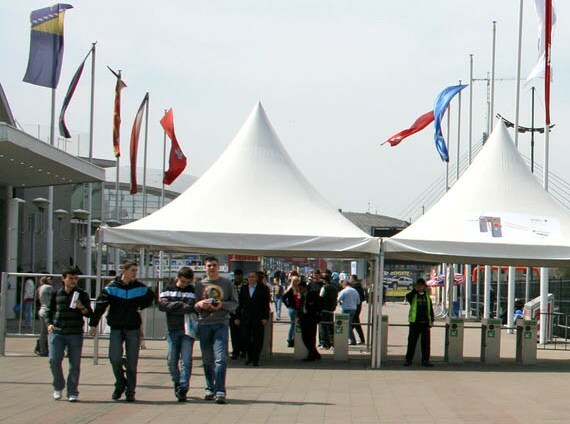 Reliability and efficiency of the system benefit to a traditionally good atmosphere on Belgrade Fair’s exhibitions.